Pink is beautiful! 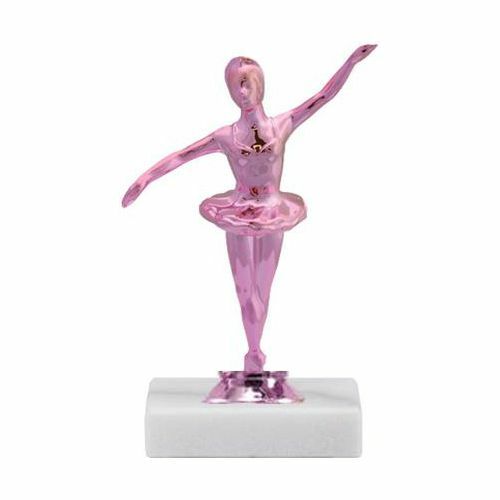 These simple trophies feature a pink BALLET figure atop a white marble base. Personalized plate with 3 lines of text included. The place was well kept, and had friendly staff. Even though we haven't decided to buy from them yet the service we received so far was great.